The Getting Greater Manchester Active campaign has reached a broad range of people from every borough of Greater Manchester, age group, gender group, ethnic group and a relevant mix of employment backgrounds. We feel the profile of participation is broadly representative of Greater Manchester’s population and therefore a population worth listening to. 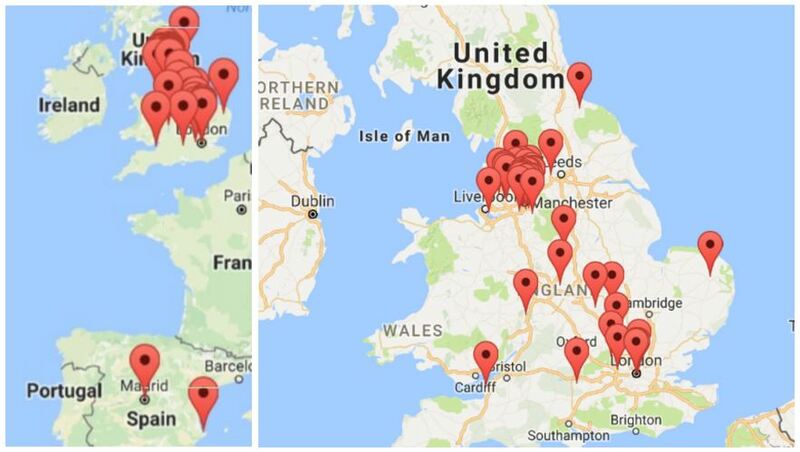 participants took part in the conversation from locations that were convenient for them, not necessarily home (see image below). 90.08% identified themselves as members of the public, 7.27% of participants identified themselves as subject matter experts and 13.88% of participants identified as carers. 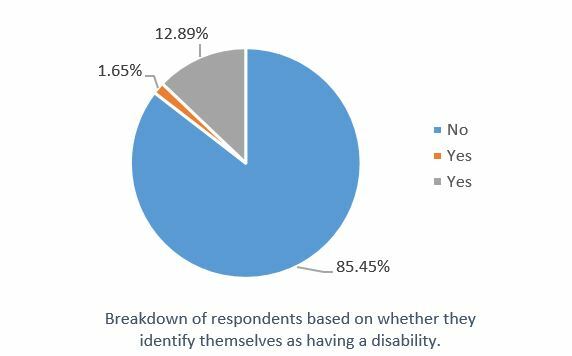 85.45% of participants identified themselves as not having a disability while 12.89% said they considered they had a disability. We attracted people from every age group, with more than 50% over the age of 45 and 40% below. 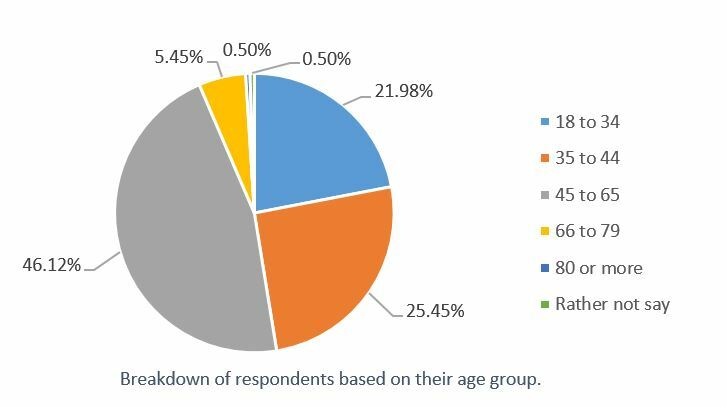 The vast majority of participants (74.21%) identified themselves as female while only 25.45% identify themselves as male. A very low percentage of people (0.17%) identified themselves as non-binary. The majority of participants (91.24%) identified themselves as heterosexual or straight, while 3.47% identified themselves as gay or lesbian, 2.81% identified themselves as bisexual and 0.17% as transgender. We attracted people from every region of Greater Manchester. 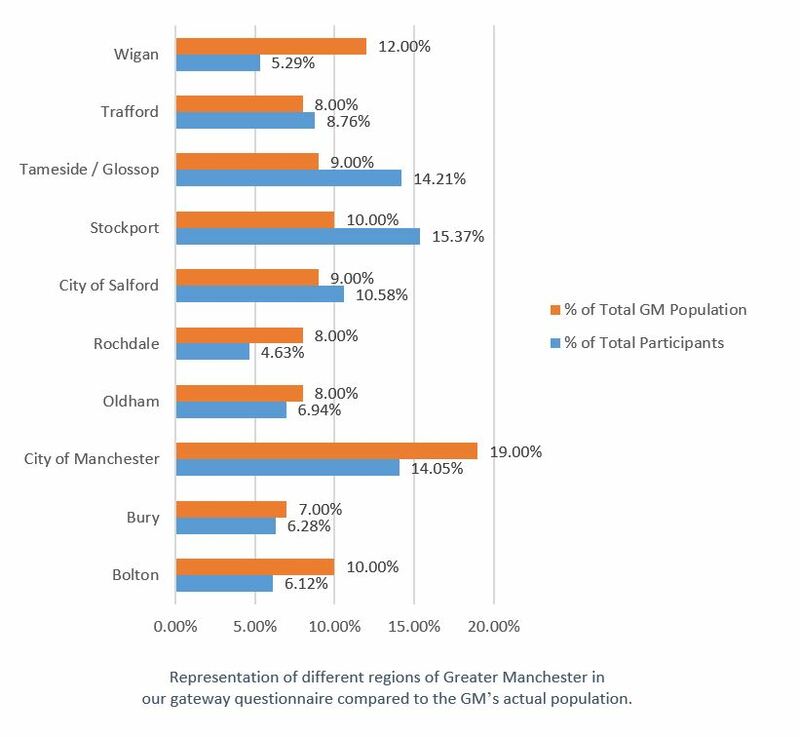 Wigan is underrepresented, whilst Tameside/Glossop, Stockport, Rochdale, City of Manchester and Bolton are slightly overrepresented. Participants from most ethnic backgrounds responded to our gateway questionnaire. It is worth noting that those self-identifying as ‘White: British’ group form the majority of participants. 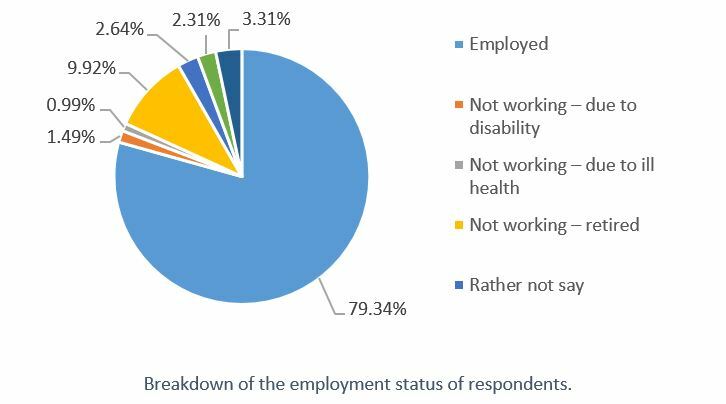 The majority of our participants (79.34%) are employed and around 11% aren’t working due to disability, ill health or being retired. Finally, 87.11% of participants confirmed they can be contacted for Devolution Manchester’s future workshops.